Every month, we randomly choose a Fan of the Month from the list of signees at our websites – The Well Armed Woman and Women’s Outdoor News – and Facebook page. The winner receives a box of goodies from The Well Armed Woman, an opportunity to be interviewed for the podcast and a vignette featuring her views on guns and the Second Amendment here at The WON. Meet Shannon, from Minnesota, a self-protector. Shannon: I’m a mom and wife; and I work in the Examination Department of a Title Company. The WON: Three words that best describe your attitude toward being able to shoot safely and competently. The WON: What’s your history with shooting? Shannon: I’ve been shooting for just a year and a half. I jumped in feet first, reading books (Michael Martin’s Concealed Carry & Home Defense Fundamentals [which solidified my decision to obtain my permit] and The Cornered Cat, by Kathy Jackson [which gave me down to earth tips and confidence when I did obtain my first firearm]), joining The Well Armed Woman, training (extra training in first aid, unarmed self defense, and advanced gun training), as well as, following various firearms podcasts (Women’s Gun Show, Concealed Carry Podcast, Pro Arms Podcast) and websites (Active Self Protection has wonderful real life videos with pro and con tips to go with them). The WON: What’s your next gun? Can be a dream gun. Shannon: I just received my wonderful birthday present – Springfield Armory 1911 Range Officer. I carry a Sig Sauer P238. I just feel like a 1911 is the way a gun is supposed to look. Some are absolutely gorgeous. I suppose my dream gun would be a prettier, more custom model of both of those – pretty finish, fancy grips, etc. The WON: Is there training or a trip you’d like to take that revolves around shooting? What is it? Shannon: The most basic tip is keep training. Don’t get your permit or take a basic gun class and say, “I’m good, I know how to shoot.” Train to be better, faster, more accurate. Think about how to handle various situations; not in a paranoid way, but in working your big brain muscle so that should the worst happen you’ve run through the scenario before, if not in physically, then in a video or book or just a “What if” thought process. The WON: How do you talk to about your Second Amendment views? Shannon: There was a point in my life when the Second Amendment meant nothing to me (sadly, a point in my life where I would have been good with getting rid of it). Now that I am more educated and older, not only do I intellectually feel the Second Amendment is of the utmost importance in my life and the lives of all Americans – I feel it. I am bursting with pride when fellow Second Amendment advocates successfully defends themselves or represent the community with intelligence and poise. 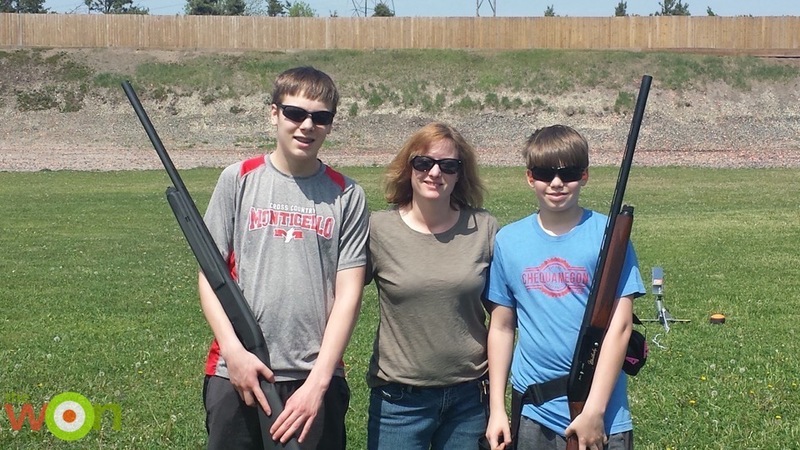 As far as how I talk about the Second Amendment … it is when the subject arises, then pointing out how my life is affected by my ability to exercise my Second Amendment right and how I am more confident in my ability to defend my family. 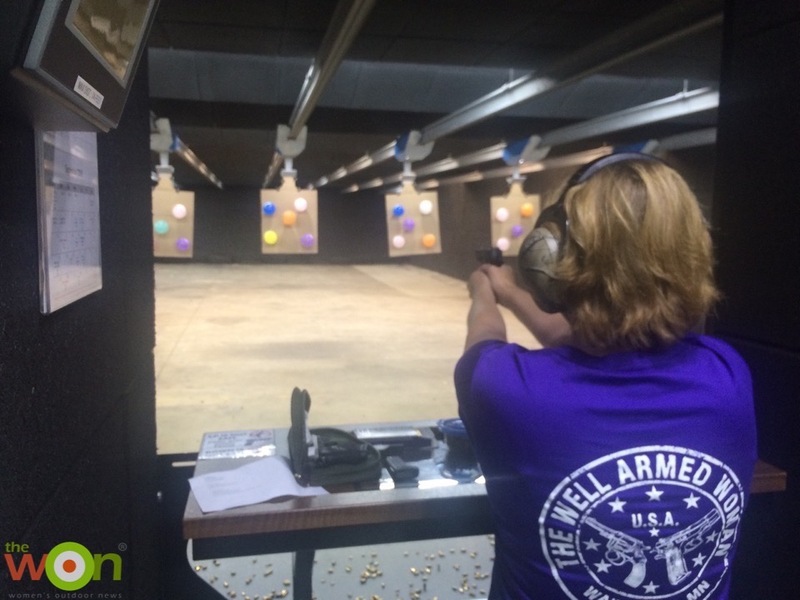 Listen to Carrie’s on the Women’s Gun Show Episode #64.